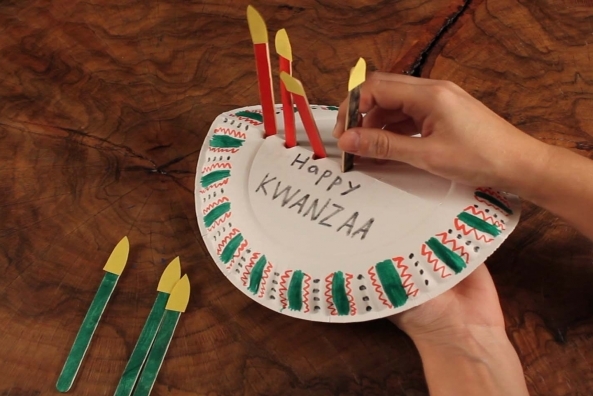 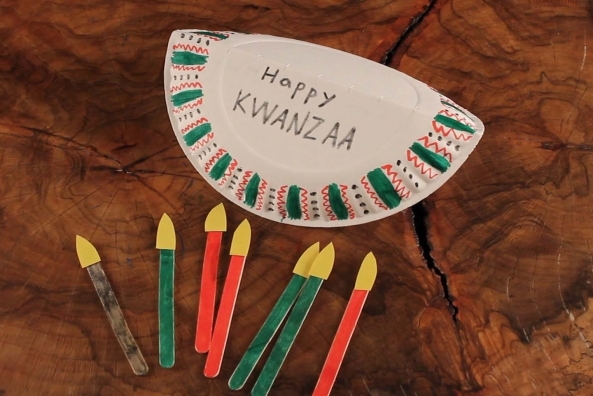 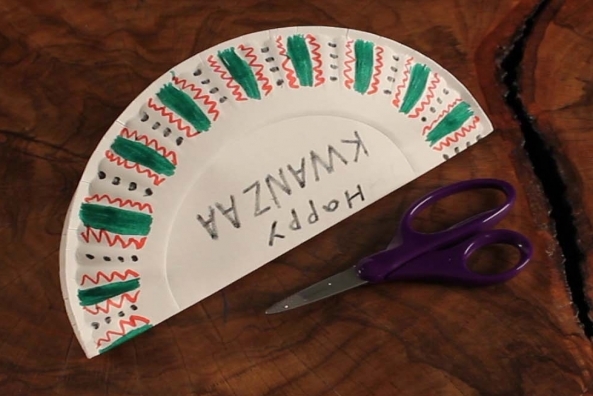 Make a traditional kinara for Kwanzaa this year with just a paper plate, craft sticks and simple step-by-step directions. 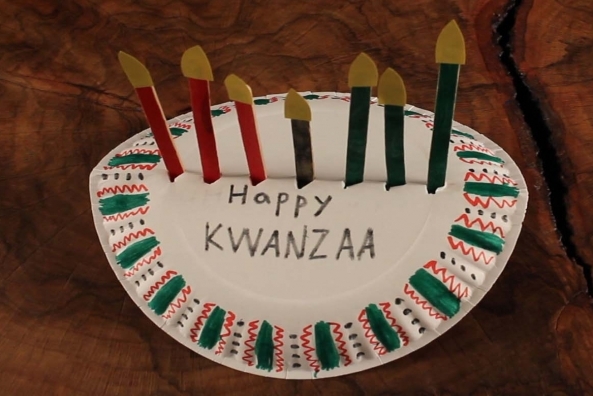 Read along as one child discovers Kwanzaa for the first time. 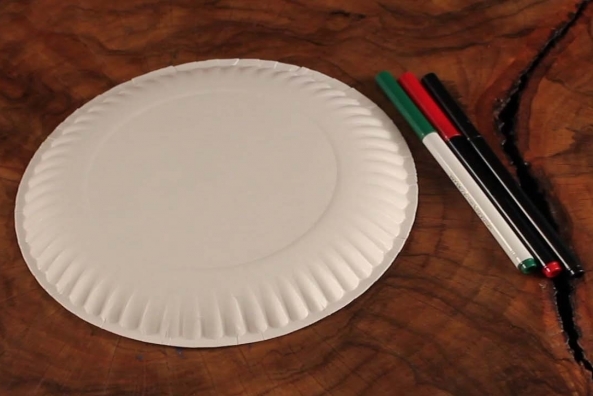 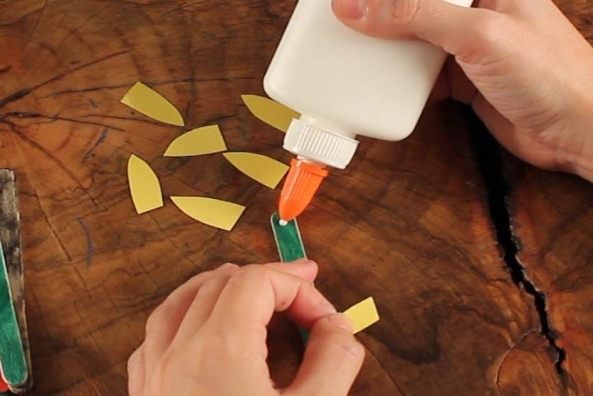 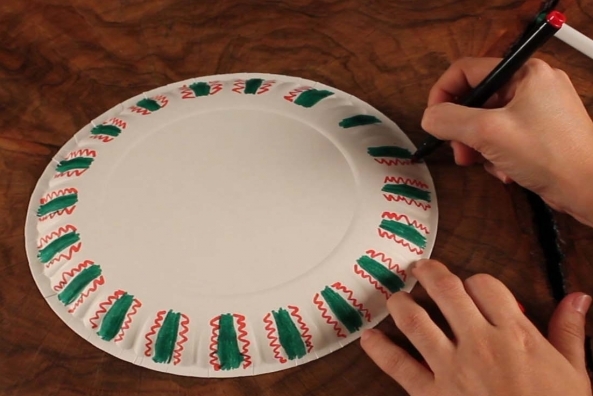 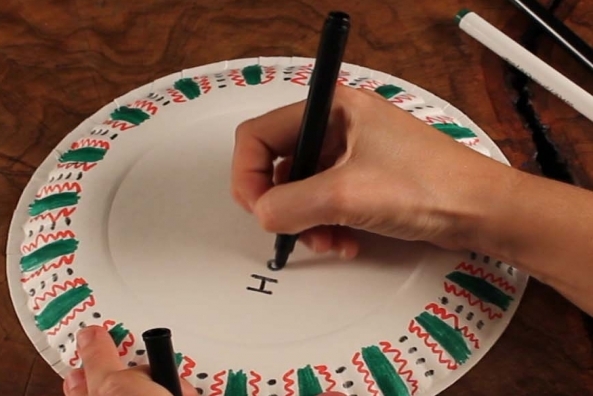 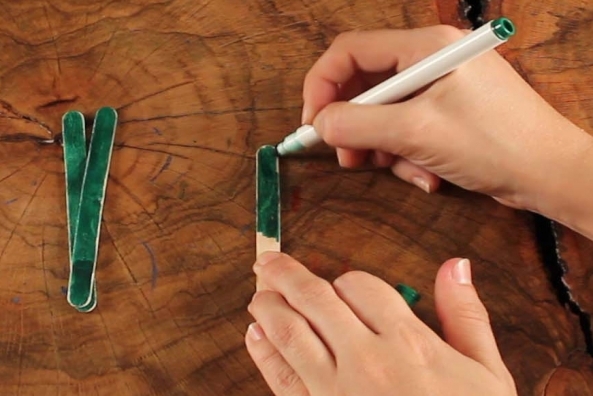 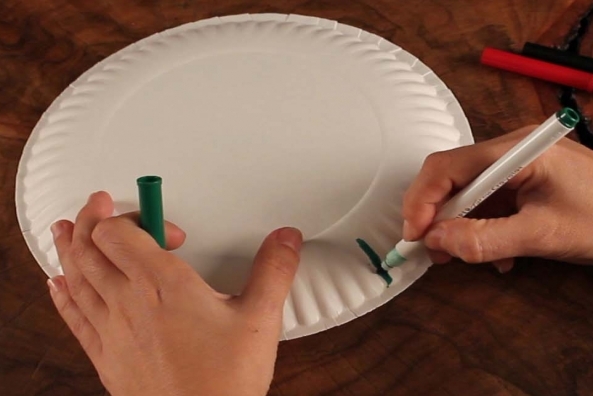 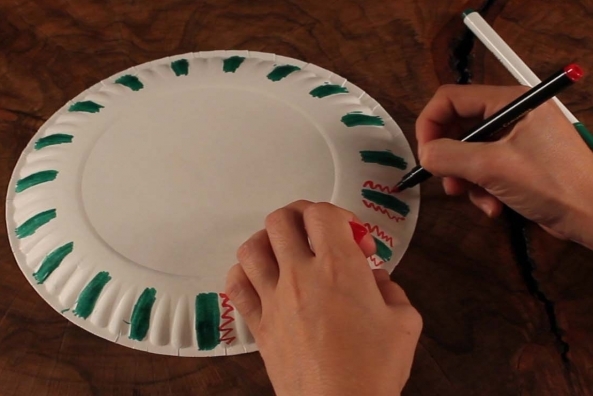 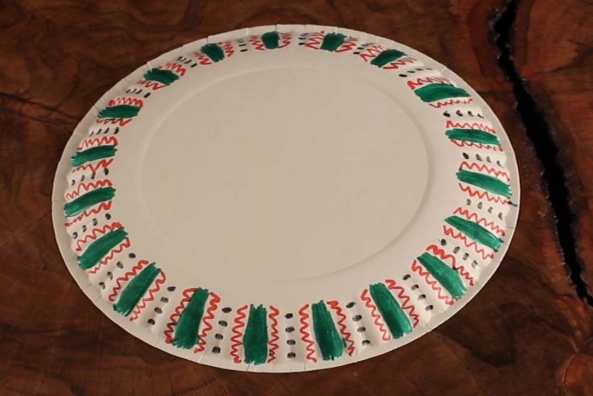 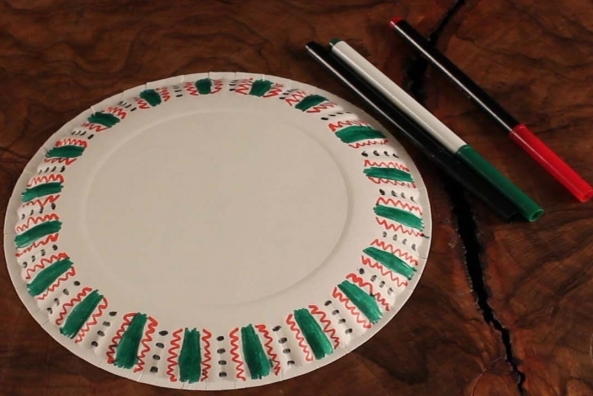 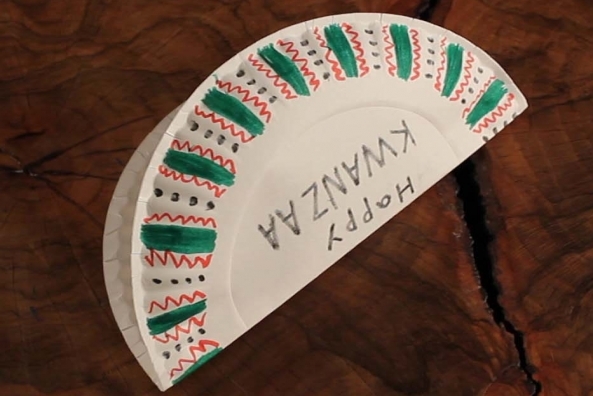 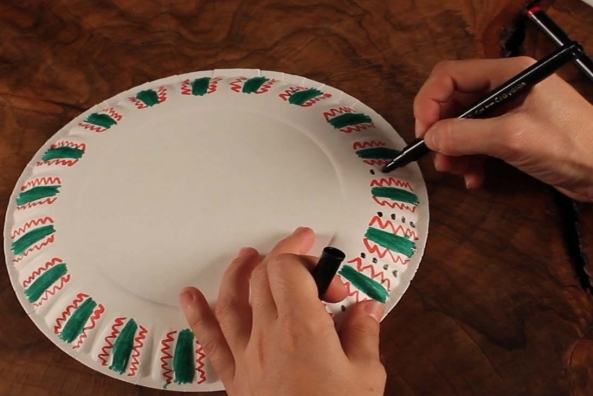 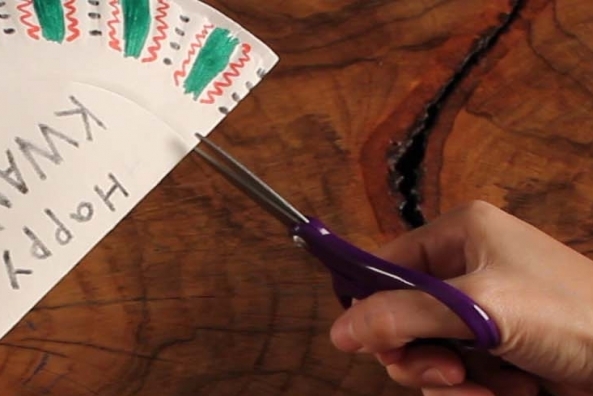 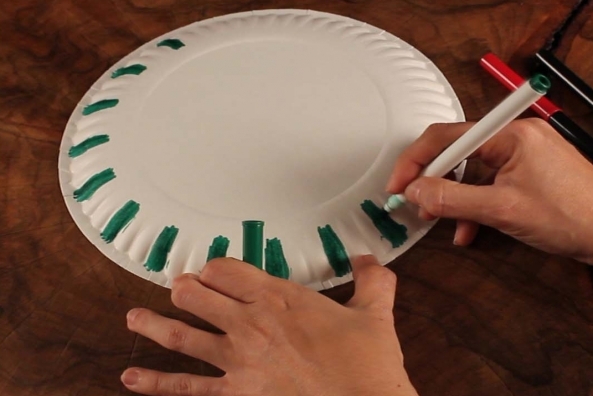 Use you markers to color a red, black and green pattern around the edge of the paper plate. 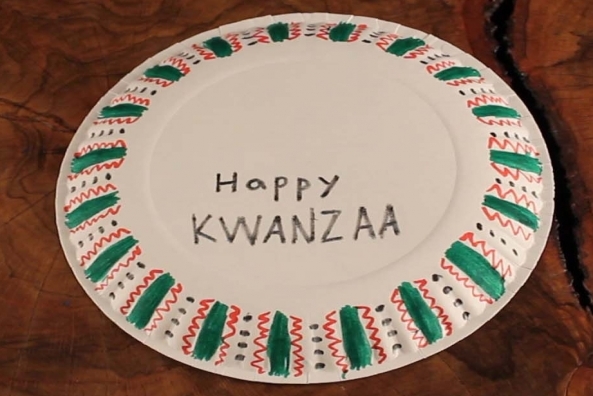 Write “Happy Kwanzaa” on one half of the plate. 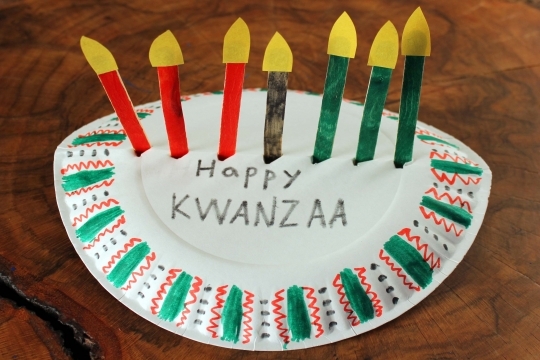 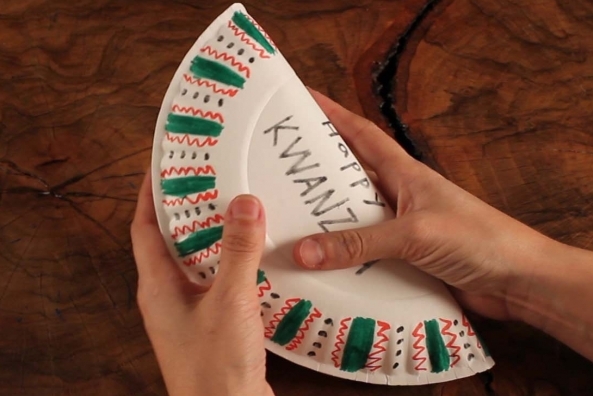 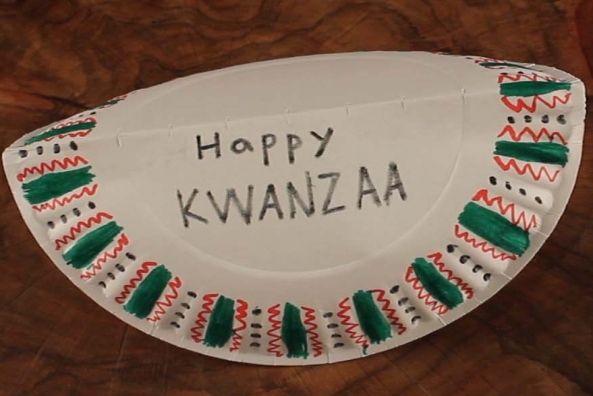 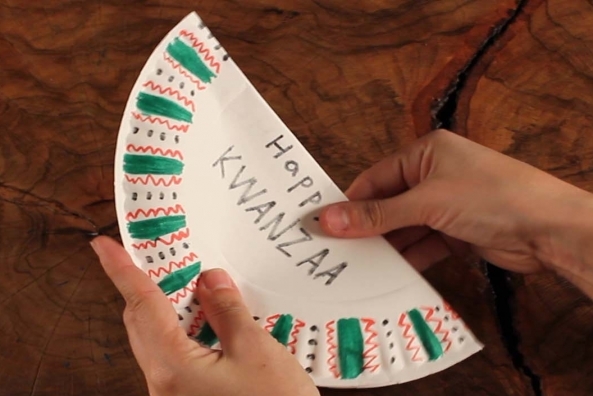 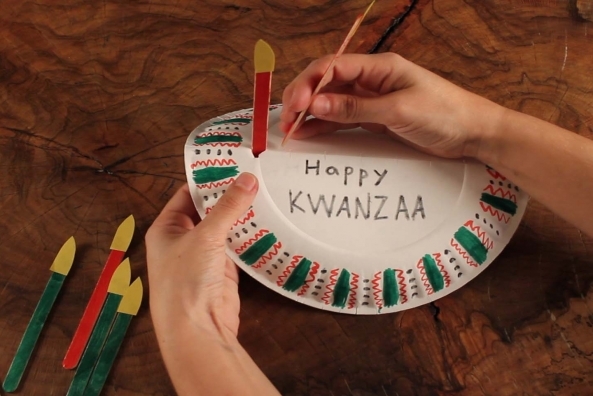 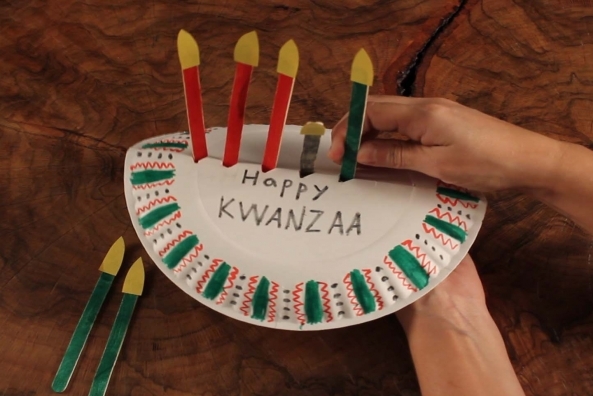 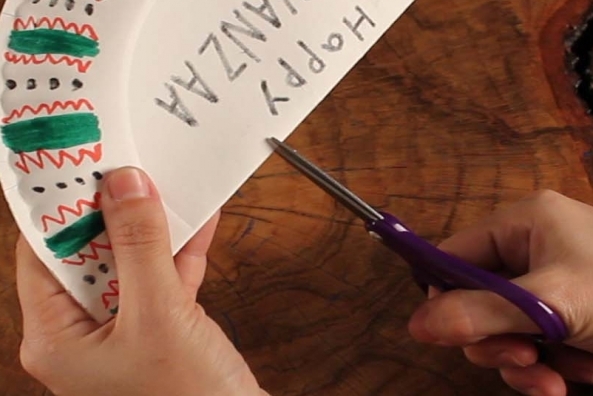 Fold the plate in half so that “Happy Kwanzaa” is on one side and the other is blank. 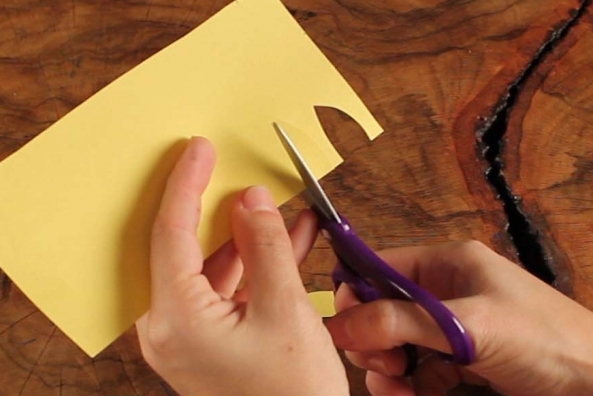 Cut seven small slits on the fold. 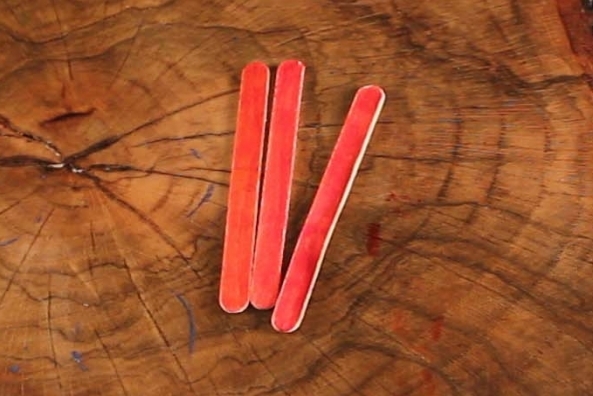 Color three craft sticks red. 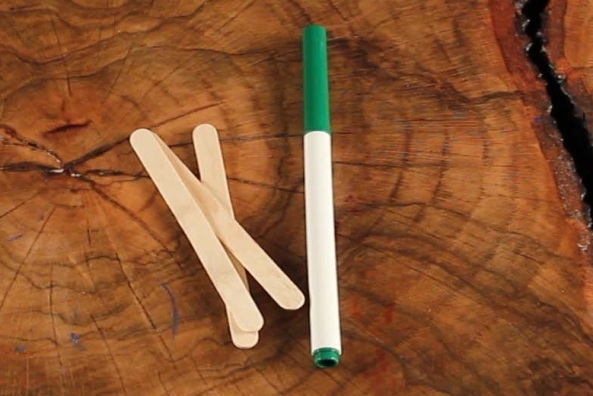 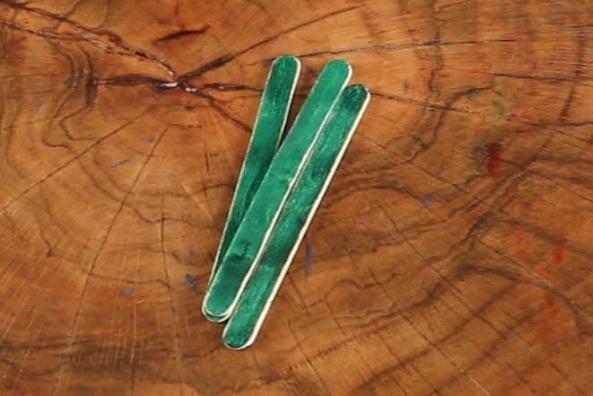 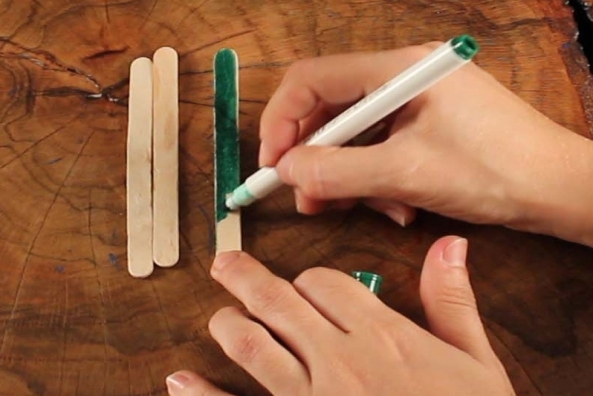 Color three crafts sticks green. 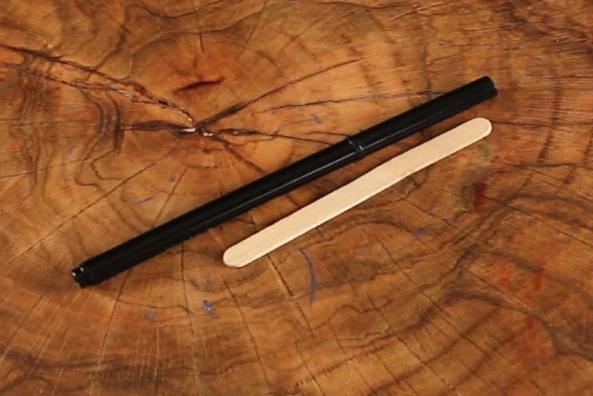 Color one craft stick black. 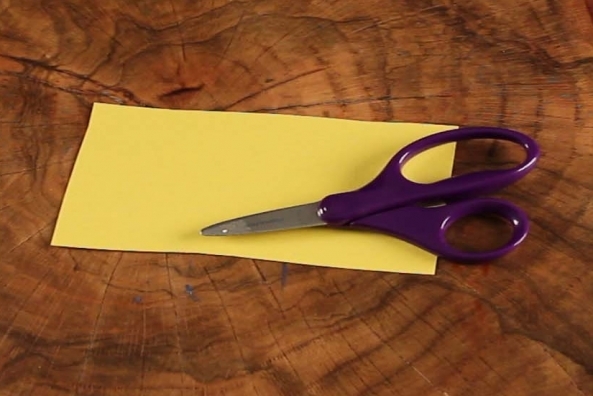 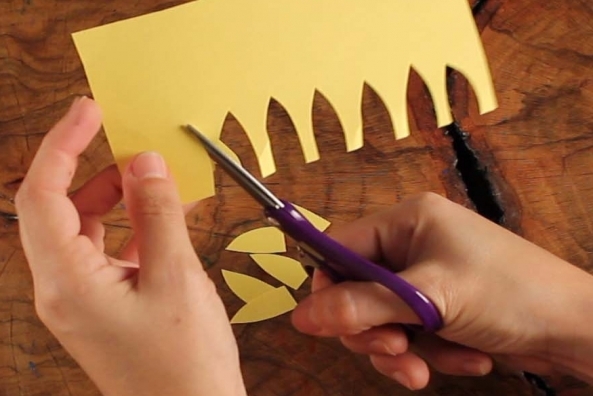 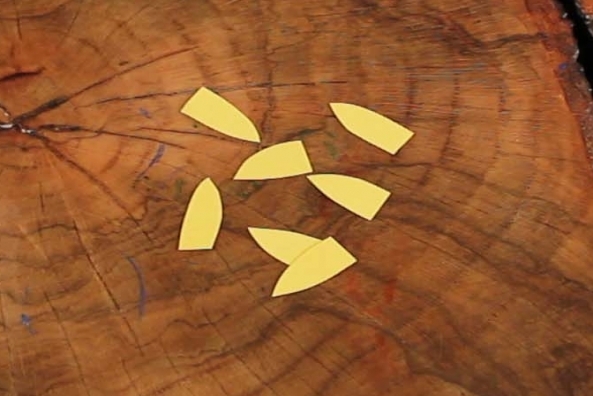 Cut out seven flames from a piece of yellow construction paper. 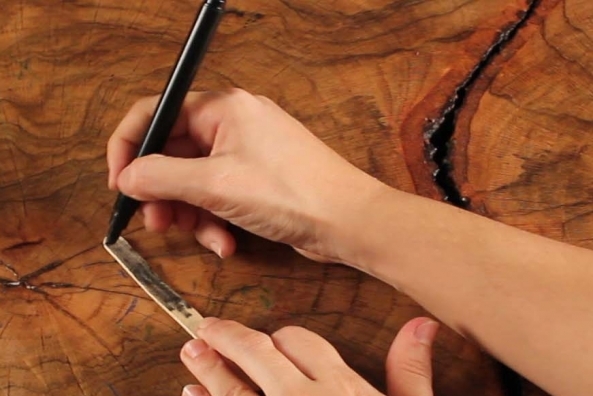 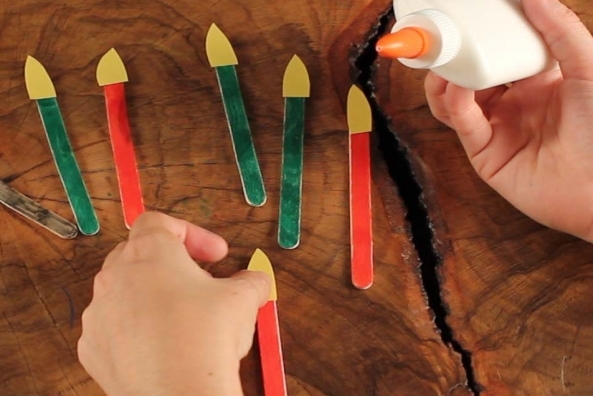 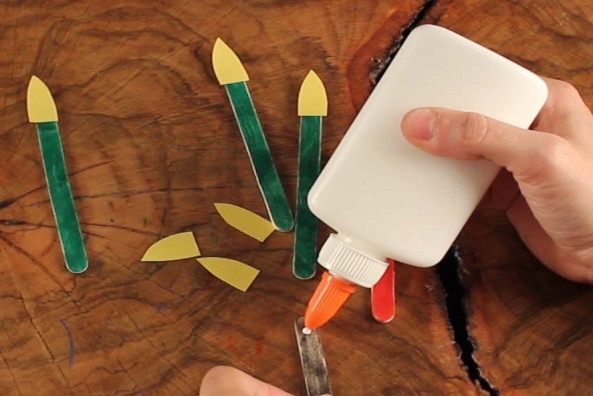 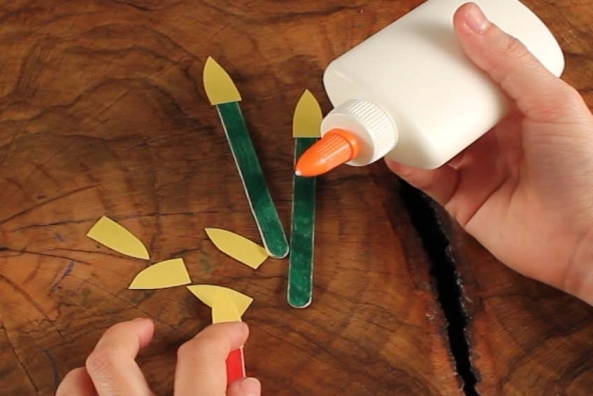 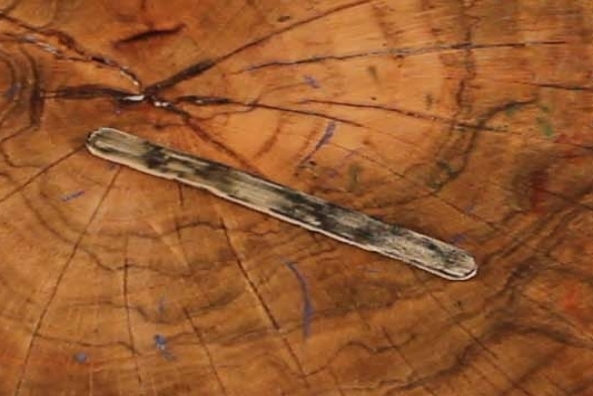 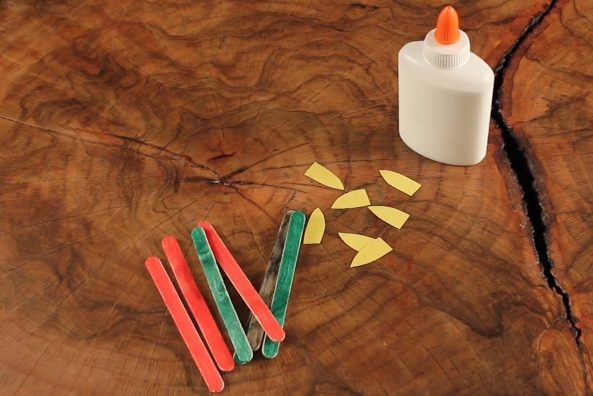 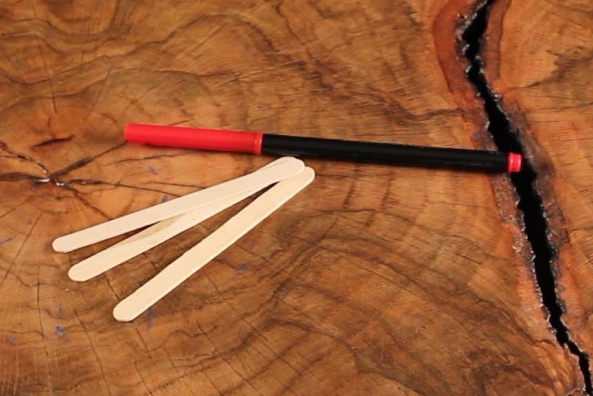 Glue a flame onto each of the craft sticks. 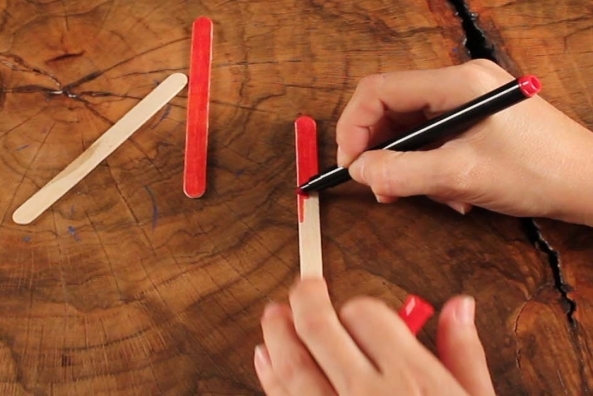 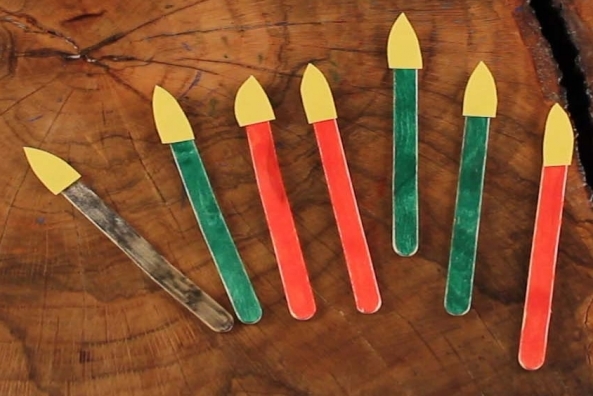 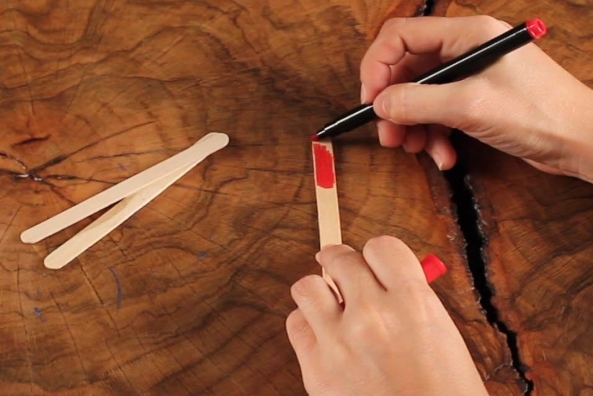 Insert a craft stick into each slit in this pattern: red, red, red, black, green, green, green.